Whether it is a warm beverage, a relaxing hot spa treatment, or a serene soak in your oversized tub - staying warm when it is cold outside is easier than you might imagine in North Lake Tahoe. Nothing warms you up quicker than a piping hot beverage. Of course, the preferred winter drink is as varied as the many visitors and residents in the region. 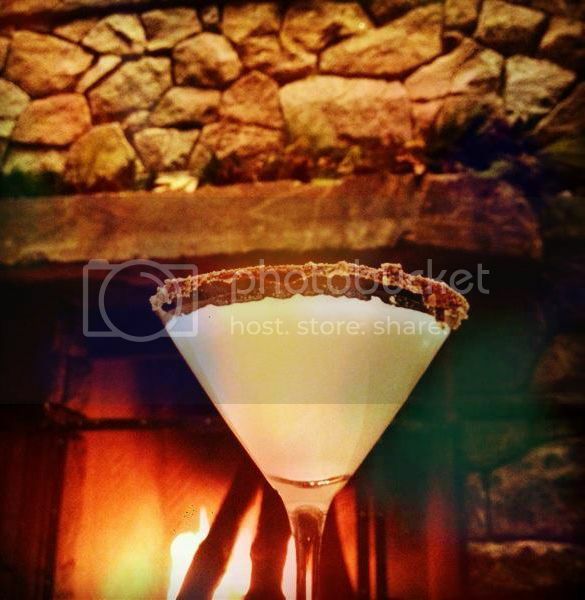 If you are looking for an amazing setting close to home at Constellation Residences, try the Living Room restaurant and bar at The Ritz-Carlton, Lake Tahoe resort where patrons enjoy their favorite warm beverage, while relaxing in front of a cozy fireplace. Experience the majestic beauty of the Martis Valley and Northstar slopes while enjoying some of the most amazing hot cocoa and coffee drinks from their beverage menu. Snuggle up to the Snuggler 2.0 with peppermint schnapps, Godiva white chocolate liquer, hot chocolate and whipped cream sound. If you are looking for a non-alcoholic beverage try the Hot Chocolate Pinecone Experience – signature chocolate flavored pine cones stirred in steamed milk. It’s the perfect wintertime infusion. Half & Half, with a Graham Cracker Rim. Coffeebar in Downtown Truckee is serving up some the best local hot drinks. Patrons enjoy a relaxed and friendly environment while experiencing a variety of hot beverages, such as coffee & espresso drinks. For those of you looking for a little less caffeine, they have hot chocolate as well as a large variety of teas and chai. They also serve their beverages with the option of milk alternatives which range from organic milk, almond, rice and soy. Coffeebar, located at 10120 Jibboom Street is a local favorite and a must visit in Downtown Truckee. Nearby Cottonwood was voted Best Fine Dining, View, Chef and Best Bar of 2012. With Happy Hour daily until 6pm and live acoustic music Thursday and Fridays, you really can’t go wrong. Tip: “Acoustic Thursdays” feature the best in FREE live acoustic musical entertainment coupled with discounts on libations and select menu items all night long in the Bar and Fireplace Rooms. Staying in? Moody’s in downtown Truckee recently shared this delicious pomegranate cosmo cocktail recipe on facebook. Join in the celebration of winter by visiting Tahoe and all it has to offer this winter, while remaining warm during your stay. Get social with us! Join Constellation Residences on Facebook and Twitter. Follow our visual journey on instagram @ConstellationNS and tag us at #ConstellationNS. We feature our favorite images and give you credit!